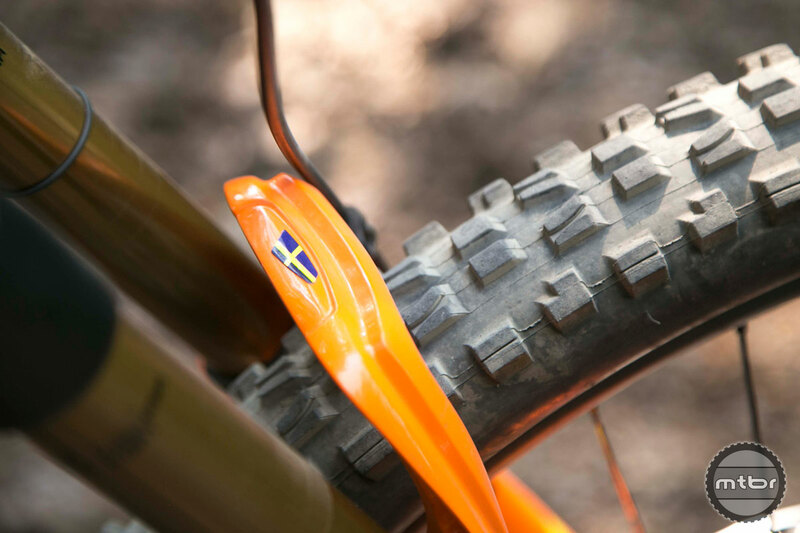 Robin Wallner and his Ibis Mojo HD4. 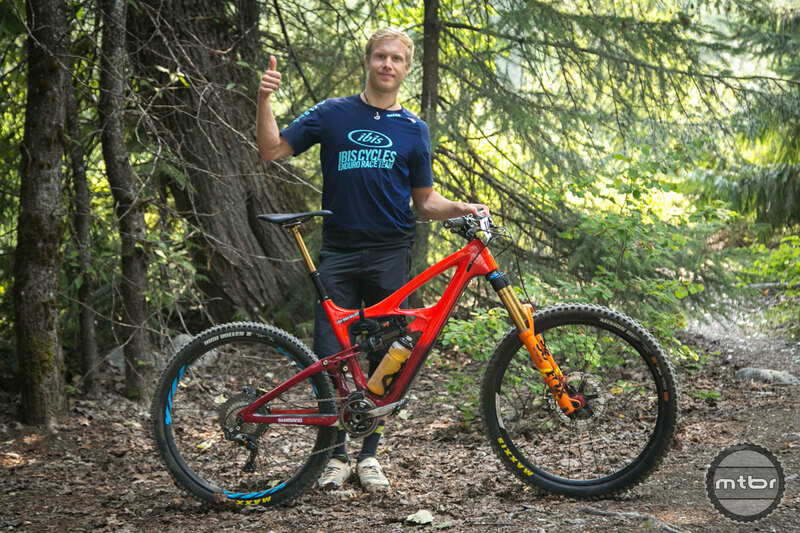 At the Enduro World Series in Crankworx, Mtbr checked in with Robin Wallner, a former downhill pro turned enduro racer who’s consistently been in the top 10 this year. His bike of choice is the Ibis Mojo HD 4. 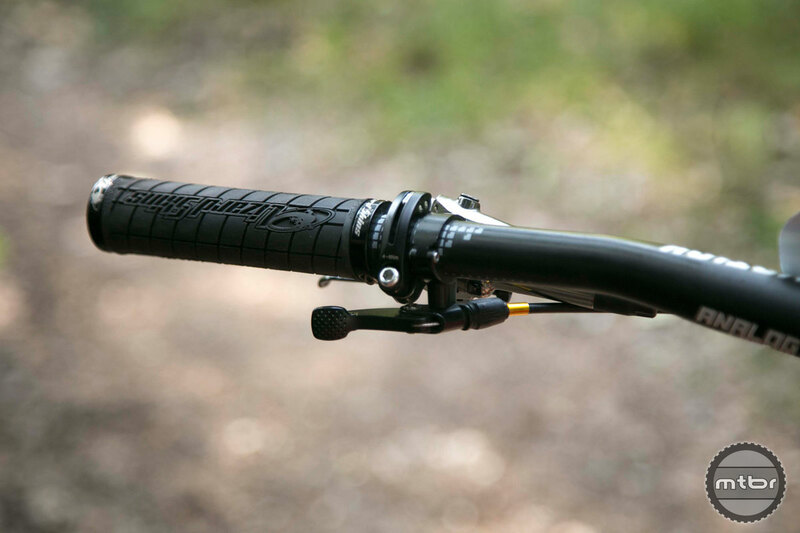 Read the Mtbr first ride review of this 150mm rear travel trail smasher. 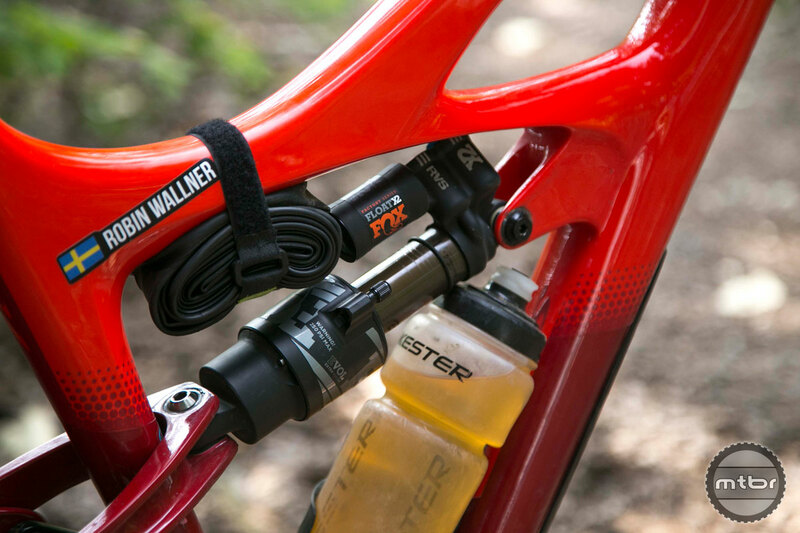 Wallner’s bike of choice is the Mojo HD4. It’s quite a bit slacker and longer than the Mojo HD3, which means the big Swede has gone from an XL to a large. Wallner runs a 760mm wide bar. He’s tried 750mm, but has been running 760 since he was a downhiller. 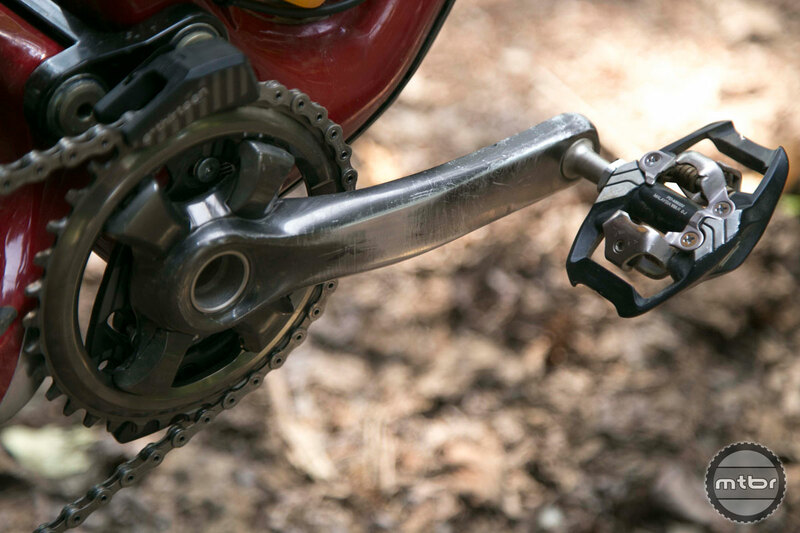 Shimano XTR brakes levers are mated to Saint calipers. 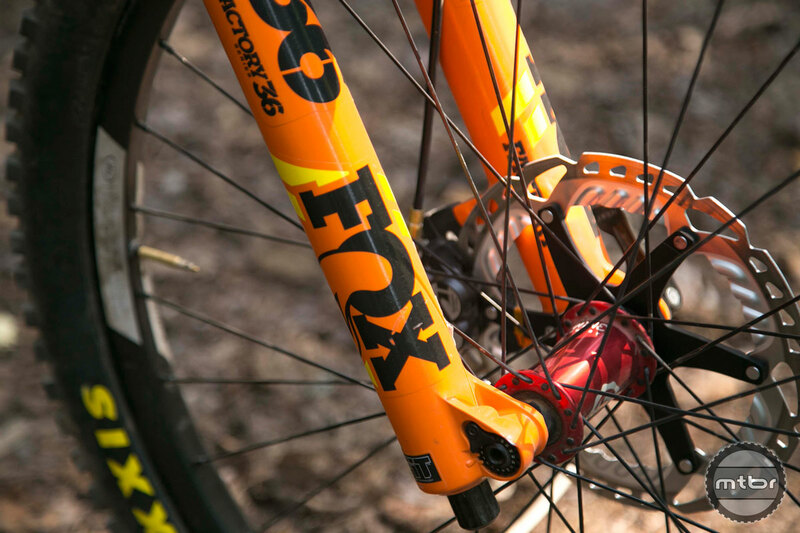 Fox is a new sponsor for the Ibis team this season. 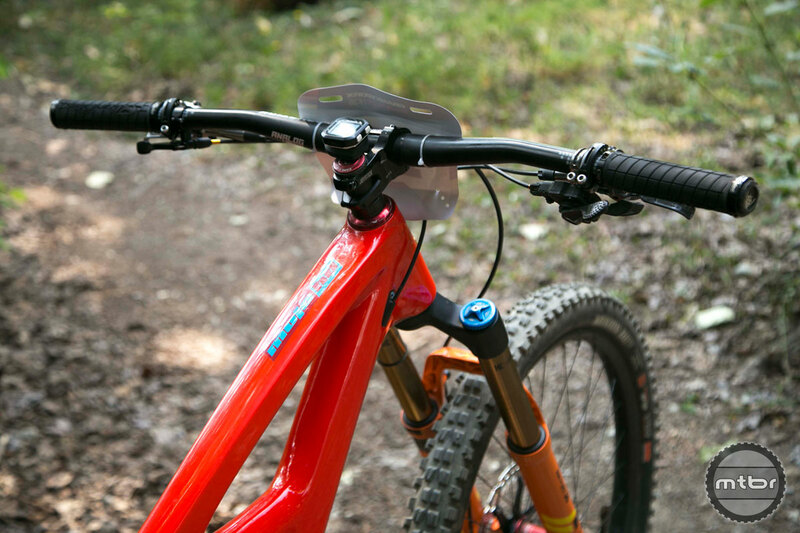 In this fork, he has one token and airs up to 76 PSI. He also runs really fast rebound because he wants the bike to feel active. 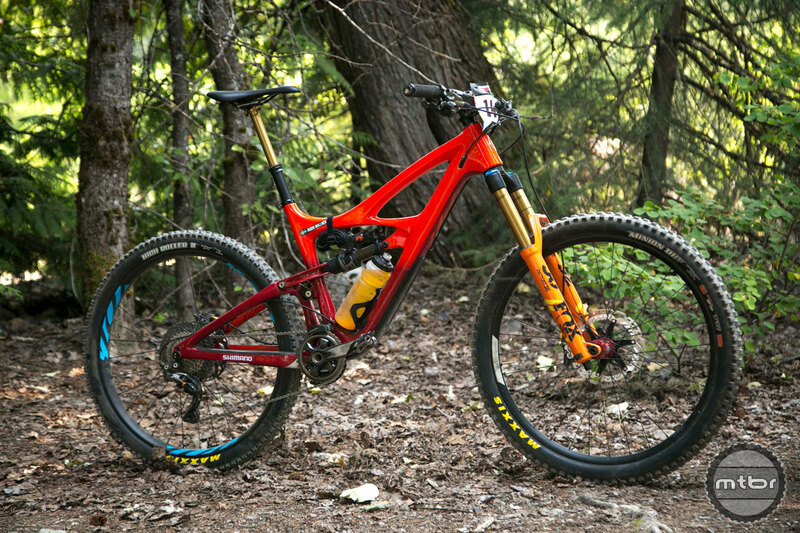 Wallner normally runs carbon Ibis wheels, but at Whistler he was playing with aluminum wheels. The Crankworx Enduro was incredibly brutal, with a 20-minute stage to start the day. 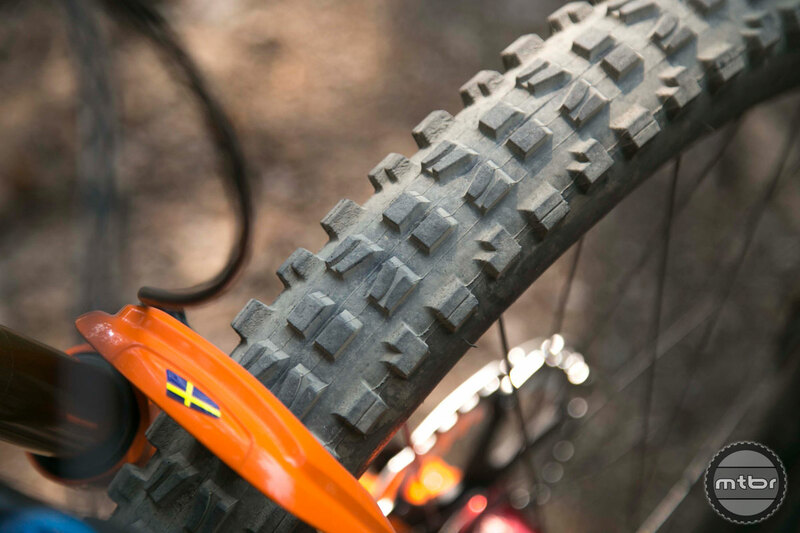 Alloy rims have more give, which makes a big difference when you’re trying to save your hands. 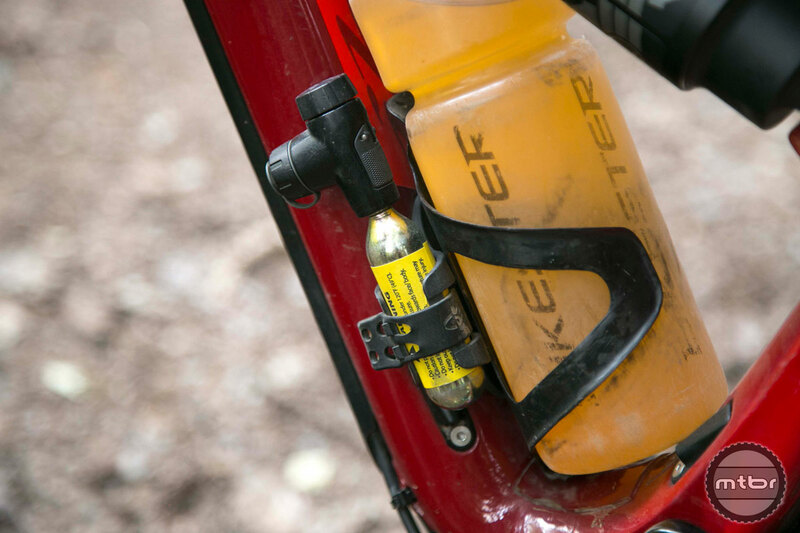 At Crankworx, Wallner was running 19 PSI up front, 23 PSI out back. He’s able to get away with this tire pressure because he’s running wide rims. Back in the day, he would constantly burb or fold tires. 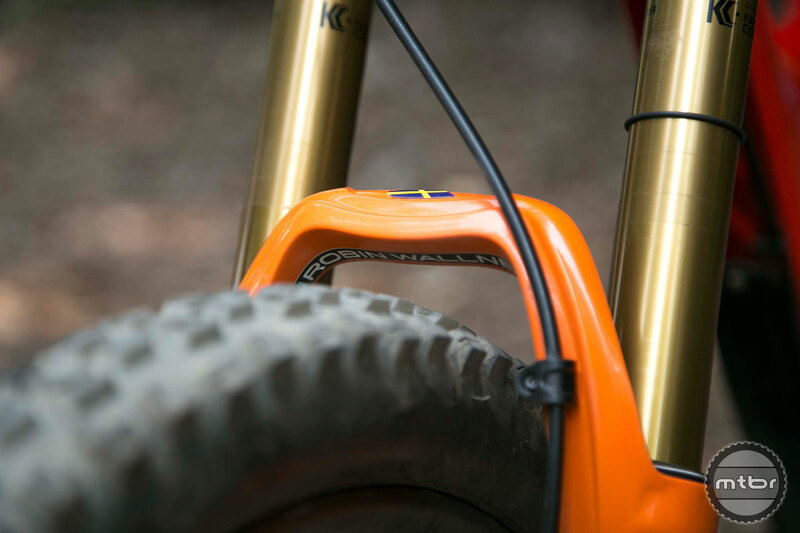 While Wallner runs his front end really stiff, his rear shock is plush in comparison. The Swede likes to ride with his weight up front, so the setup works. 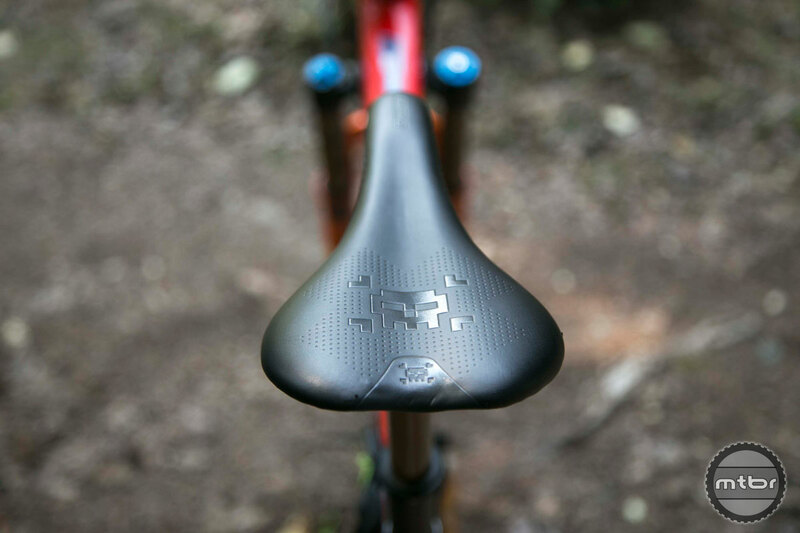 Riders who sit more evenly or rearward might find that the bike feels too soft. 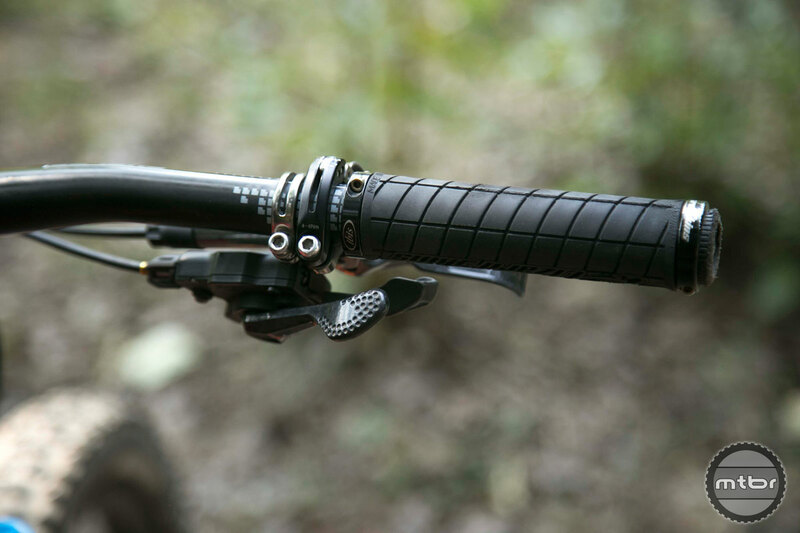 A Velcro strap runs across the top tube and holds a spare inner tube. He keeps a C02 ready to go on the other side of his frame. These cranks have seen some abuse. 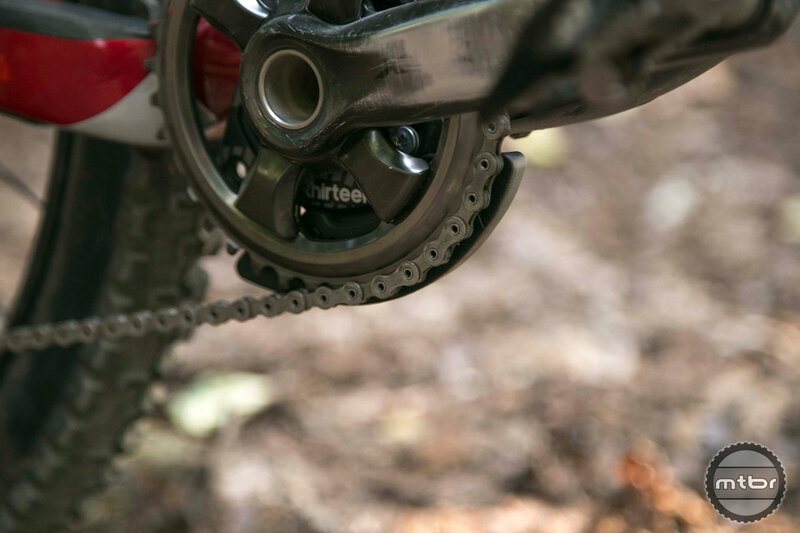 And yes, that’s a 36T chainring. 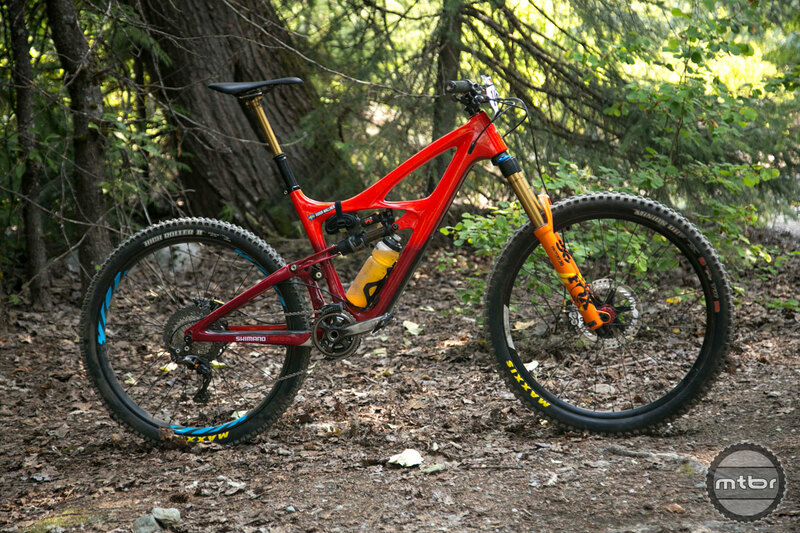 Waller runs a Maxxis High Roller with DH casing in the back. Up front, he’s rocking a Minion DHF Double Down. Inside, he’s rocking Huck Norris inserts. He’s tested various inserts, but he finds this setup is the easiest and lightest. They also don’t impact the ride feel. He likes the set up so much, he now runs them all the time. 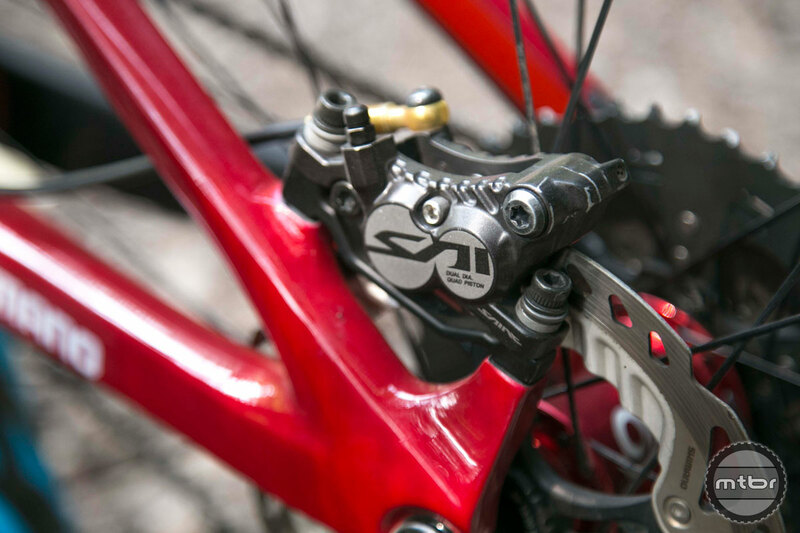 Saint calipers mated to XTR brake levers. 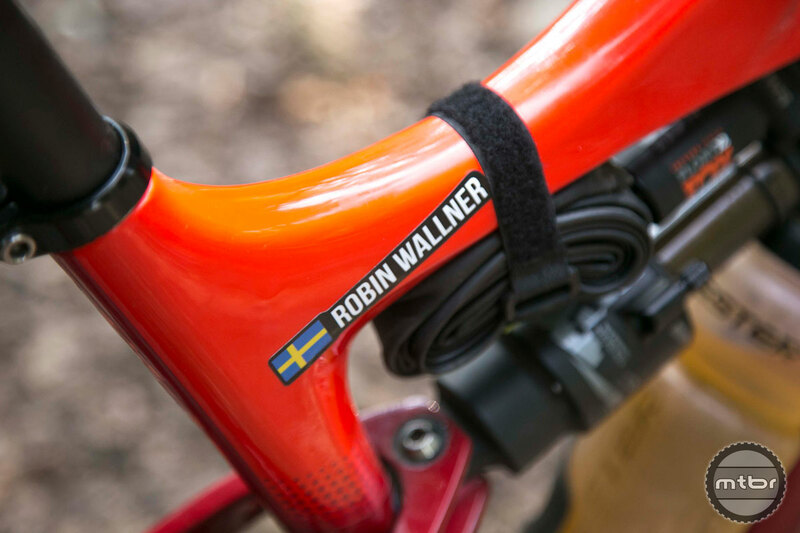 Robin Wallner and his HD4. Robin’s bike of choice is an HD4. It’s quite a bit slacker and longer than the HD3, which means the big swede has gone from an extra large to a large. Robin runs a 760mm wide bar. He’s tried 750mm, but has been running 760 since he was a downhiller. 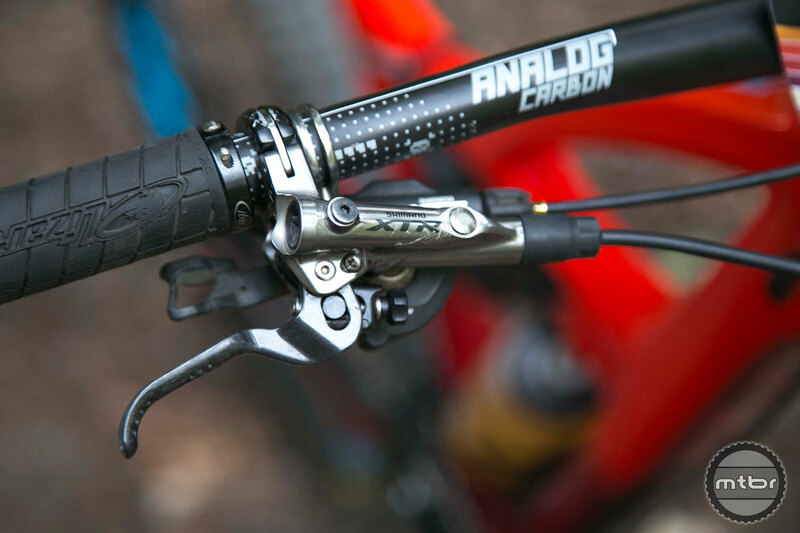 XTR brakes levers are mated to Saint calipers. 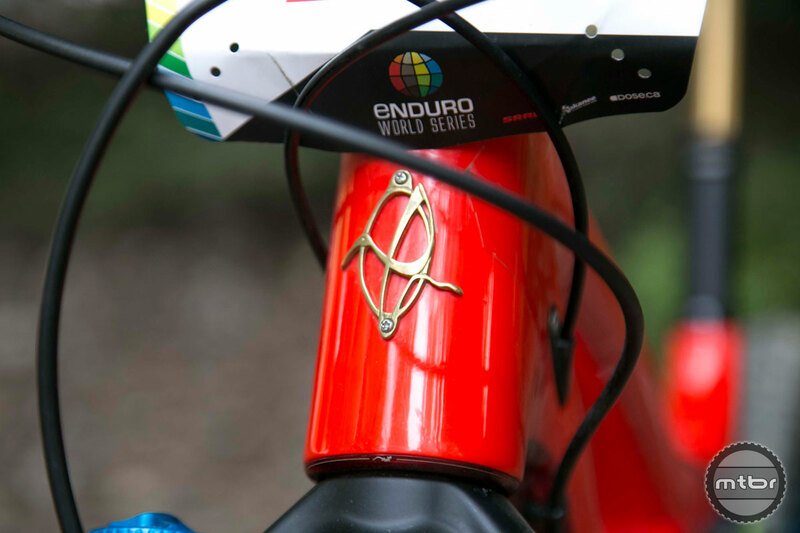 In this fork, he has one token with 76 PSI. He also runs really fast rebound because he wants the bike to feel active. 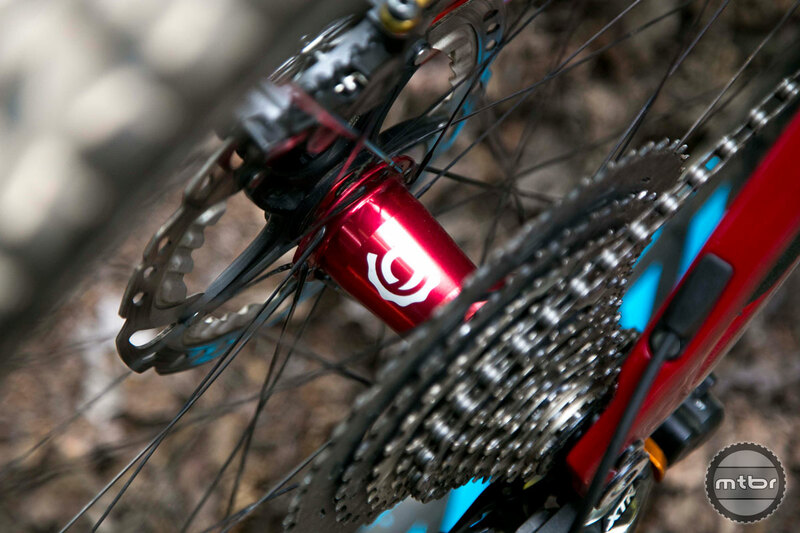 Robin normally runs carbon Ibis wheels, but at Whistler he was playing with aluminum wheels. The Crankworx Enduro was incredibly brutal, with a twenty minute stage to start the day. 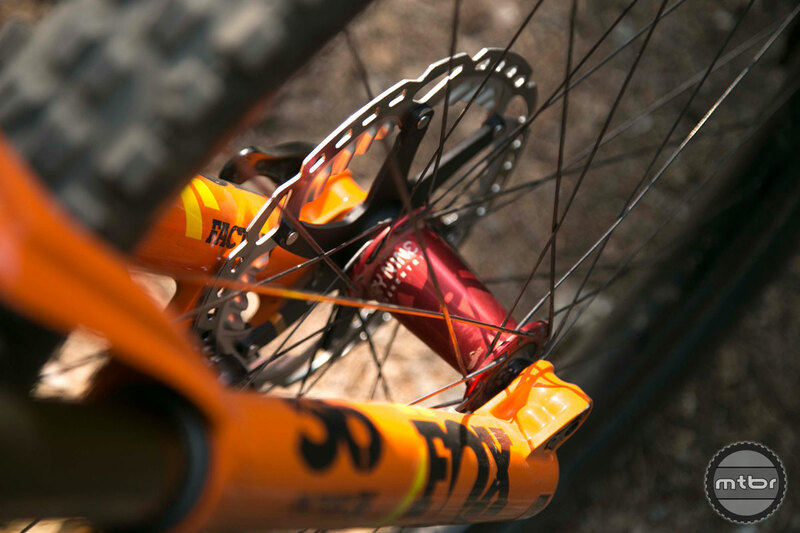 Alloy rims have more give, which makes a big difference when you’re trying to save your hands. 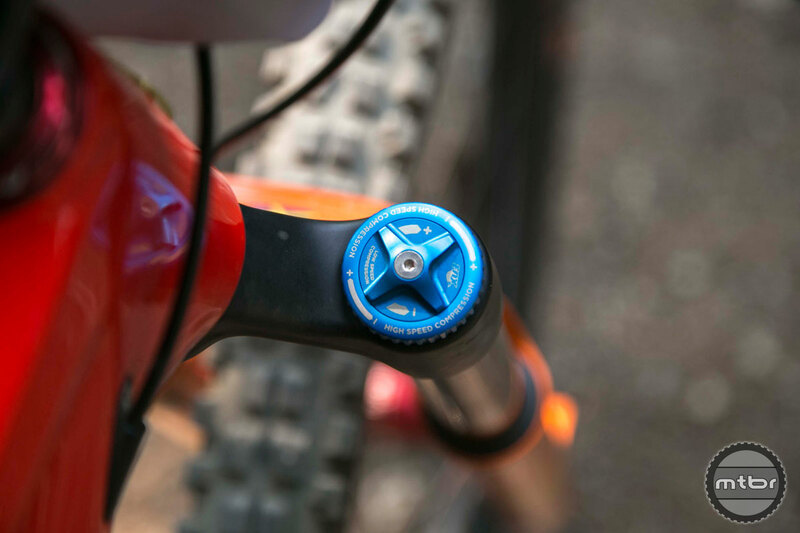 At Crankworx, Robin was running 19 PSI up front, 23 PSI out back. He’s able to get away with this tire pressure because he’s running wide rims. Back in the day, he would constantly burb or fold tires. While Robin runs his front end really stiff, his rear shock is plush in comparison. The Swede likes to ride with his weight up front, so the setup works. 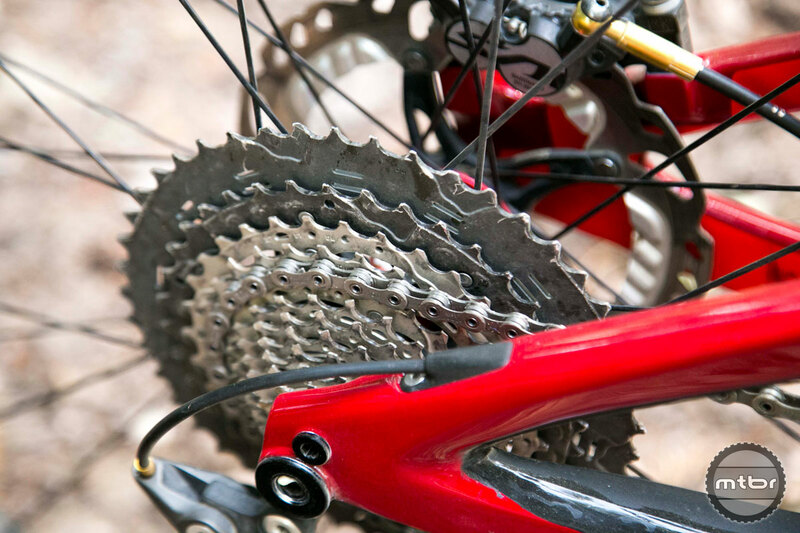 Riders who sit more evenly or rearward may find that the bike feels too soft. Robin runs a Highroller with DH casing in the back. Up front, he’s rocking a Minion DHF Double Down. Inside, he’s rocking Huck Norris inserts. He’s tested various inserts, but he finds this setup is the easiest and lightest. They also don’t impact the ride feel. He likes the set up so much, he now runs them all the time. 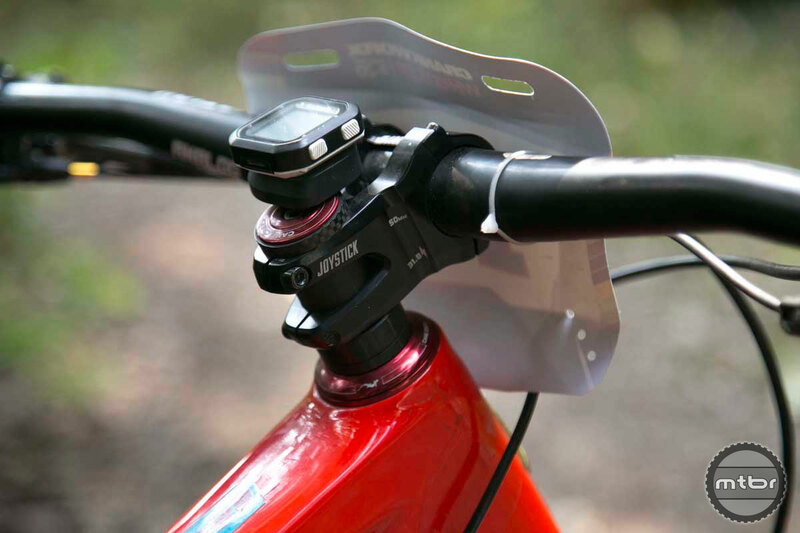 Saint calipers made to XTR brake levers. What’s with the bottle? How to get it out? I would use my right hand to get it out. Can’t find anything on that saddle. Where can I get it?